As the Venezuelan crisis continues, the now proclaimed interim president of Venezuela, Juan Guaidó pledged to continue the demonstrations, saying he is determined and will not give up. This reflects a dramatic change from previous, passive U.S. policies. It is abundantly clear that without U.S. and international pressure, the Maduro government is not going to go away. Like all dictators, Maduro will not relinquish his power without a fight. For this he depends on the higher echelons of the military and his alliances with Cuba, Russia, China and Iran. There is a large contingent of Cuban security operatives inside Venezuela helping Maduro hold onto power. It has not escaped Maduro’s notice that the Castro regime in Cuba has survived without legitimacy and with an iron fist for the last 60 years. Bolton’s statement on January 27, although vague, serves as a means to intimidate the Venezuelan government not to do with Guaidó what it did to another popular opposition leader, Leopoldo Lopez: to neutralize him by arresting and incarcerating him. One of the differences now is that the opposition is united behind Juan Guaidó and the majority of Venezuelans stand firmly with him. Another major difference is that the United States, most Latin American countries and world democracies are trying to prevent Maduro from succeeding in his attempt to hold onto power and slowing the momentum of the opposition. To this end, the Trump Administration has now placed sanctions on the Venezuelan oil company, PDVSA. This is a much needed and crucial step as it will deprive the Maduro regime of billions of dollars of revenue. The administration is now trying to figure out how to divert funds to Guaido and the National Assembly in order to help them move forward, as well as trying to figure out how to distribute humanitarian aid. Another major issue is weaning the upper echelons of the military away from Maduro. Guaido has promised them amnesty if they were to defect to his side but they are reluctant to give up the many financial perks given them by the Maduro regime so amnesty, alone, may not be enough. Perhaps it is not widely known that prior to the election of Hugo Chavez in 1999, Venezuela was a democratic, oil rich country with friendly relations towards the United States. During his 14 years as president, Chavez made alliances with Iran, Russia and China. In fact, Russia has armed the Venezuelan military with a large array of advanced weaponry. Venezuela is also tied to drug cartels and terrorist groups creating a security challenge for the United States and the region. Indeed, Venezuela has become a geo-political threat. Venezuela has become a strategic asset for these countries in their competition with the United States for global power. Russia was reported to have sent private military contractors to provide security to Nicolas Maduro. 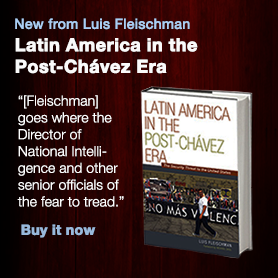 It also warned the U.S. not to interfere in Venezuela’s internal affairs. China urged the same. Both countries have a vested interest in supporting dictatorships and particularly anti-American ones. By the same token, Turkey, a country that is not a superpower but a rising Islamic state, an ally of Iran and Russia and an untrustworthy member of NATO, also expressed support for Maduro. Some attribute Turkey’s support for Maduro as the result of the countries’ business relationship (Turkey refines Venezuela’s gold). However, let us not be mistaken, Turkey’s support for Maduro is not an economic decision. In fact, it is an effort by the Turkish President, Recep Tayip Erdogan, to strengthen alliances with rogue states that oppose the West. Erdogan, like Russia and China, view the United States and the West as adversaries. 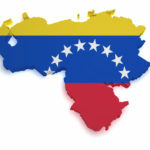 Venezuela, like Iran, is an important piece to protect in this international chess game. Maduro is suggesting talks. This is no more than a stalling tactic and should not be supported by the U.S. and its allies. The Trump Administration not only has an opportunity to liberate the Venezuelan people from their oppression and perhaps also save citizens from other countries who are facing or may face the same challenge (e.g. Nicaragua and Bolivia), but it also has an opportunity to make a show of strength in the face of a world that is turning less free and more dangerous. 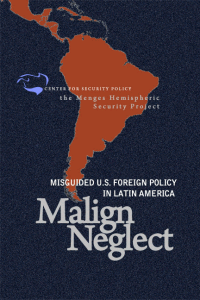 The Venezuelan case reflects the international map. It is a struggle between adversaries, between western values and a combination of dictators, radical regimes and rogue states. It is in this sense that the European Union and Latin America’s support for Guaido and U.S policy constitutes an encouraging show of unity of the West. This is why foreign policies that propose retreat from the world can no longer be an option, not in Latin America and not in any other parts of the world such as Syria and others. The free world and those who fight against tyrannies must know that the U.S has their back.